The rapid adoption of renewable energy will “redraw the geopolitical map of the 21st century,” according to a new report that surveys the geopolitical implications of the clean energy transition. The rise of renewable energy can dramatically enhance the degree of energy independence, according to the Global Commission on the Geopolitics of Energy Transformation, which authored a report at the request of the International Renewable Energy Agency (IRENA). Because energy can be generated by technologies, using the sun and wind, rather than concentrated natural resources in the form of oil and gas, which is not ubiquitous in geographic terms, many countries will be able to reduce their vulnerabilities to price spikes and outright supply disruptions by pivoting to renewable energy. 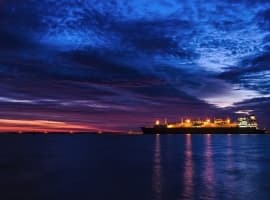 Moreover, the strategic importance of chokepoints – the Straits of Hormuz, or the Straits of Malacca for instance – will diminish as fossil fuels lose their grip on the global energy system. Another important point is that renewable energy can be scaled up to almost any degree, and installations can also be decentralized. The IRENA report argues that the decentralized nature of renewable energy will be a force for democratization. “Renewables will also be a powerful vehicle of democratization because they make it possible to decentralize the energy supply, empowering citizens, local communities, and cities,” the IRENA report said. A key difference between renewable energy and fossil fuels is one of cost. As a technology, rather than a finite natural resource, costs decline the more clean technologies are manufacture and deployed. “Renewable energy sources have nearly zero marginal costs, and some of them, like solar and wind, enjoy cost reductions of nearly 20% for every doubling of capacity,” the IRENA report argues. That is radically different from natural resources, where higher demand drives up prices due to scarcity. So, there is a lot to like about the coming energy transition. Fewer chokepoints, less price volatility, reduced power concentrated in a relatively few places. Related: Are Energy Hedge Funds Going Extinct? Still, the energy transition could create new complexities. While many countries can generate more energy at home, reduce air pollution, and slash their import bills, there will be new risks because clean technologies require various minerals and metals. The need for cobalt, copper, lithium, nickel, rare earths and other minerals and metals could create similar problems, just as dependence on oil and gas exports bedevil producer countries today. About 60 percent of the world’s cobalt supply comes from the Democratic Republic of the Congo (DRC), and the soaring demand for cobalt in electric vehicles has led to social, economic, political and environmental problems in that country. Moreover, for exporters of fossil fuels – mainly the major oil-producing countries in OPEC – the coming transition to cleaner energy presents serious risks. How countries fare in a world of energy transition obviously depends on the degree to which they consume/produce fossil fuels and the degree to which they are positioning themselves to take advantage of cleaner technologies. The IRENA report put together a simple matrix, with fossil fuel import dependence on the y-axis and the number of renewable energy patents on the x-axis (see chart). As the chart shows, Saudi Arabia stands out as uniquely vulnerable. Needless to say such a one-trick pony is in serious trouble unless it undertakes a dramatic economic transformation. Other countries that could see disruptions from the clean energy transition include Qatar, Libya, Angola, the Republic of Congo, Kuwait and the UAE, and to a lesser extent Russia, Iran, Algeria and Azerbaijan. The problem is that many of these countries are going in the opposite direction, double-downing on oil and gas even in the face of increasing risk. Despite the much-hyped Saudi Vision 2030 announced a few years ago, the now-maligned crown prince Mohammed bin Salman seems to be backing off the lofty goals of his transformation plan. In fact, there is perverse logic at play. Saudi Arabia is not at all in denial about the onset of peak oil demand and the rise of renewable energy. “The energy transition and threat that oil demand may peak in the next 20 years has concentrated minds. 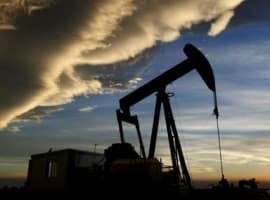 Even the lowest-cost producers don’t want to run the risk of leaving low-cost oil in the ground,” WoodMac’s Jessica Brewer said in a commentary. Saudi Arabia is scrambling to funnel money into its oil sector so that it can be one of the last producers standing on the other side of peak oil demand. Is Kuwait’s $500 Billion Oil Plan Overoptimistic? That is not going to happen during the 21st century and may be far beyond since the transition from fossil fuels to a low-carbon economy and eventually to renewables will be an extremely slow process if ever. In 2017 renewables accounted for a mere 3.5% of global primary energy according to the 2018 BP Statistical Review of World Energy and this is projected to rise to an estimated 4.5% by 2040 according to ExxonMobil 2017 Outlook for Energy. If this is the case, then how long will it take renewables to “redraw the geopolitical map of the 21st century”? Certainly not during the 21st century and far beyond. 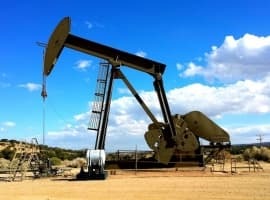 The various arguments provided by the Global Commission on the Geopolitics of Energy Transformation at the request of the International Renewable Energy Agency (IRENA) could be plausible if only they were based on realistic assumptions rather than on far-fetched hypotheses and wishful thinking. The global energy transition could hypothetically redraw the geopolitical map of the 21st century, dramatically enhance energy independence, reduce vulnerability to price spikes and supply disruptions, diminish the strategic importance of chokepoints and reduce power concentrated in a relatively few places as fossil fuels lose their grip on the global energy system but only if a global energy transition could be achieved. It is debatable as to whether a peak oil demand could be reached during the 21st century or even beyond. The one certain thing is that oil is expected to remain the world’s primary energy source throughout the 21st century and probably far beyond. Still, oil demand growth could be projected to decelerate a bit on the back of efficiency improvements driven by technological developments, a tightening of energy policies, a drive towards renewables and a relatively low (albeit increasing) penetration of electric vehicles (EVs). A post-oil era throughout the 21st century and maybe far beyond is a myth. Likewise a global energy transition from fossil fuels to renewables during the 21st century is a bridge too far. Oil will continue to reign supreme throughout this century and far beyond. Pie-in-the-sky thinking. Hopium at its best. This 'energy transition' is nothing more than wholesale denial and ignorance of the many complexities and roadblocks that imperil this ideal. Among the many distortions of this particular narrative is the fact that there are no 'clean' energies to be had. Every single one creates massive pollutants in their production, distribution, and maintenance, so any transition simply shifts the type of environmental degradation experienced--to say little about the indisputable fact that most of the remaining fossil fuels would be required to create this 'revolutionary' transition for the current world's population (although there is also good evidence that there are not enough necessary resources remaining on the planet to produce enough renewable energy sources for the entire global population). Throw on top of this a monetary/financial system that is debt/credit-based and requires perpetual growth to avoid implosion--to say little about the capital necessary to fund this transition at a time when the world is awash in debt (which is nothing more than stealing growth from the future). And then consider that the global population, for the most part, depends on a heavily, fossil fuel dependent industrial agricultural system to feed itself and one can begin to understand that anything less than an entire reset of many of our most prized institutions and contemporary paradigms will not do. Growth in most (all?) of its iterations must be abandoned. As well as all the entitlements and conveniences that accompany it. We can tell ourselves a wonderful narrative such as that outlined in this article, but the hard truth is likely going to be a lot less comforting. The usual intellectual blunder here. Our beloved renewables will benefit from advancing technology and economies of scale, but fossil fuels and nuclear will not. Try fracking and combined cycle gas turbines on for size. Humanity may someday have to unite to curtail carbon emissions, but science tells us we have plenty of time. No need to jump the gun. We face a choice: pushing renewables to the brim and face rapid economic deterioration or chose more sensible policies now. As the protests in Paris have shown, there is a limit to the patience of the electorate and there will be much more of that. Renewables are part of the picture, but they cannot define the game if we want to keep on living in relative prosperity. And most people want that.